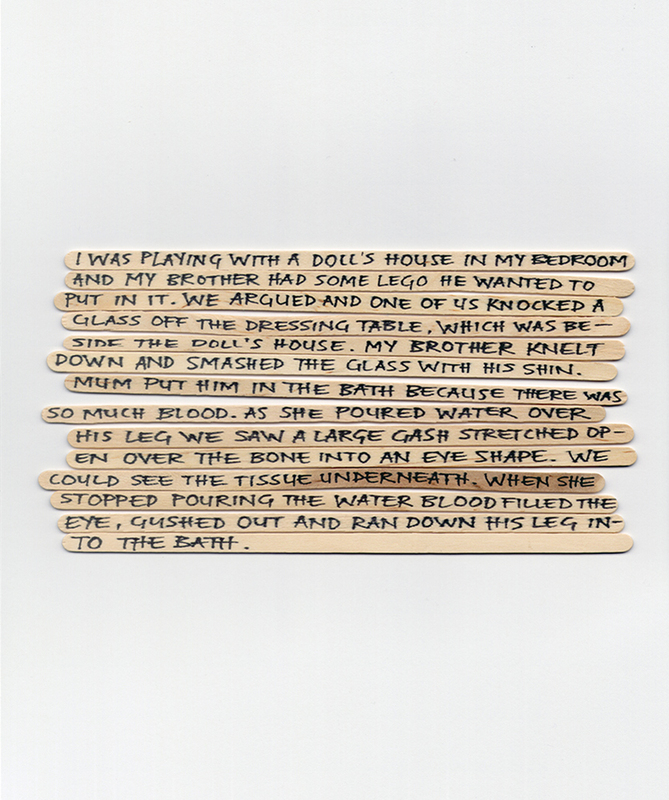 I don't remember very much about my early childhood. Many of my first memories are based around photographs, and are not necessarily of distinct or definite events. These are memories I have probably constructed around an image, and mostly these images are good. This is because people do not tend to photograph childhood traumas or miserable moments. 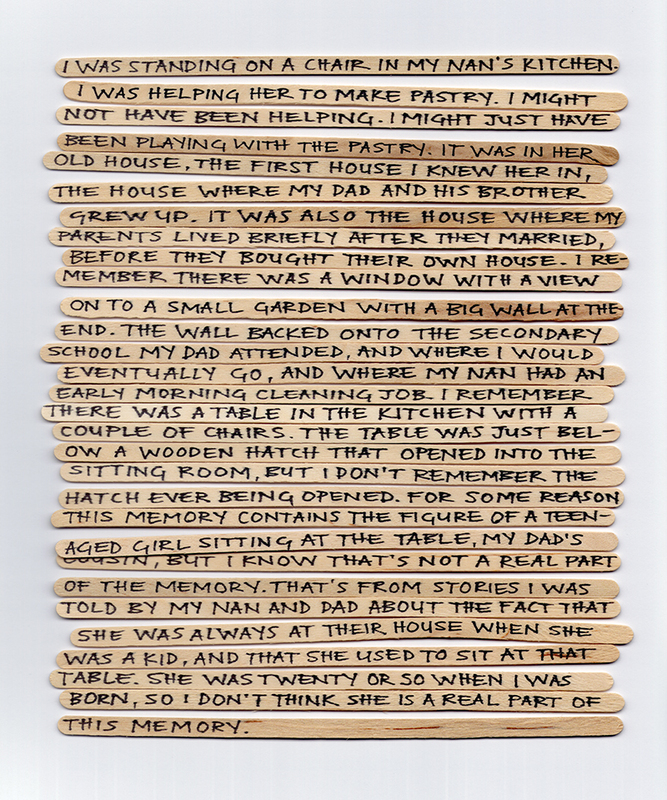 A series of childhood memories, written on stolen Starbucks coffee stirrers.